How did Todd feel about offering to drive Faye and her sister around? That was revealed on Chrisley Knows Best Season 5 Episode 10 when it became apparent that they were going to use his car for a long period of time. Meanwhile, Jules opened a real-estate office, and struggled to land her first clients. She then tried to get Savannah to become her first client and offered to sell her house for her. 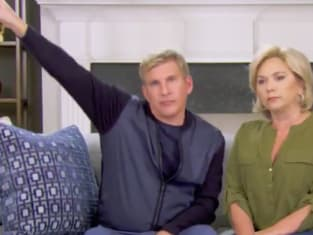 Use the video above to watch Chrisley Knows Best online to get up to speed with all the latest drama.